Youngsters and enthusiast love Adventure Sports due to the thrill, physical exertion and adrenaline rush these activities offer. These sports activities require complete mind body co-ordination, presence of mind and physical strength to perform in difficult situations. Arrival of spring season brings happiness onto the faces of thrill seekers and they start packing their backpacks for adventurous weekends. A day spent hiking or trekking brings satisfaction and a sense of accomplishment on the faces of youngsters. Stories are shared over the bone fire in the camps and increase the pleasure of exhaustive activities. Trekkers and hikers start planning well in advance and love to go in groups. White Water rafting is also one such activity where people can enjoy the adventure of being in water and face the challenges nature throw at them. Deep Creek Lake in Garrett County is Maryland’s largest freshwater lake with 65 miles of shoreline. 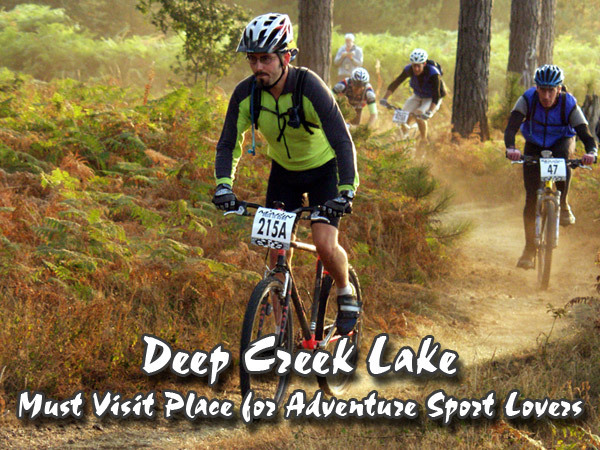 There is something for everyone at Deep Creek Lake, adventurous people can enjoy Hiking, Rock Climbing, Rappelling, Mountain Biking and White Water Rafting, while kids will love swimming, boating, and biking etc. Old aged people can go fishing or enjoy playing golf over here. Being a controlled environment, one can feel safe and secure all the time. Deep Creek’s Adventure Sports Center International is one of two in the U.S. and only twelve worldwide.